From lighting to electronic systems, from powertrain to suspensions and exhaust system components, Magneti Marelli’s technologies can be found on the most important innovative automobiles on display at the 65th edition of the Frankfurt Motor Show (IAA Internationale Automobil-Ausstellung), open to the public until 22nd September 2013. Many world previews, starting from the new Peugeot 308 equipped with full-LED headlamps made by the Automotive Lighting division. Daytime running lights combined with sidelights ensure a clean and attractive design, with the same perception of lighting style both during the day and at night obtained through the use of thirteen LEDs. The low-beam function, consisting of a newly-designed LED module allows to achieve, by using 10 medium-power LEDs with an average temperature of 5700° K, over 610 Lumen (lumen is the unit of measure of the luminous flux), along with safety performances comparable to those offered by gas-discharge headlamps. The high-beam function was developed using a high-power LED matrix, and it combines style and performance at the highest level of the category. All functions have been designed for the use of a passive heat dissipation system, for best optimization in terms of reduction of CO2 emissions. In addition, the 308 also mounts Magneti Marelli’s “Touchscreen” infotainment system, equipped with a touch display that groups together, in a single interface, functions such as radio, music, navigation, in-vehicle computer and climate control system. The Touchscreen is a modular device whose most sophisticated version allows Internet connection through a USB key. Connected to the vehicle CAN network, it represents an HMI diagnostic interface with the possibility to display information on the automobile and on navigation through a high-resolution (800x480 pixel) 7” touchscreen. Bluetooth 2.0 connectivity allows hands-free control of 5 mobile phones. Magneti Marelli also supplies the instrument cluster for the Peugeot 308. World preview for the seven-seater Citroën Grand C4 Picasso, which features an hi-tech instrument cluster: the completely configurable 12” Full TFT (Thin Film Transistor) display that contains the entire set of instruments is one of the key products of the Magneti Marelli instrument cluster area. On the Citroën Grand C4 Picasso, the multimedia infotainment part is incorporated in a high-resolution 7” digital touchscreen that displays data pertaining to in-vehicle entertainment and satellite navigation, and which can also be used to monitor and select all management and diagnostic parameters thanks to connection with the vehicle CAN network. The system also allows access to additional telematic services. The Citroën Grand C4 Picasso fits the halogen and Xenon headlamps and LED rear lighting systems made by Magneti Marelli Automotive Lighting. As for Fiat, world preview for the seven-seater Fiat 500L Living, which fits many Magneti Marelli’s technologies already available on the other versions of the car, including lighting systems, powertrain components, electronic systems, suspensions and exhaust systems. Restyling for the Alfa Romeo MiTo and the Alfa Romeo Giulietta, which nevertheless continue to feature many Magneti Marelli technologies, from lighting to suspension systems up to powertrain components. 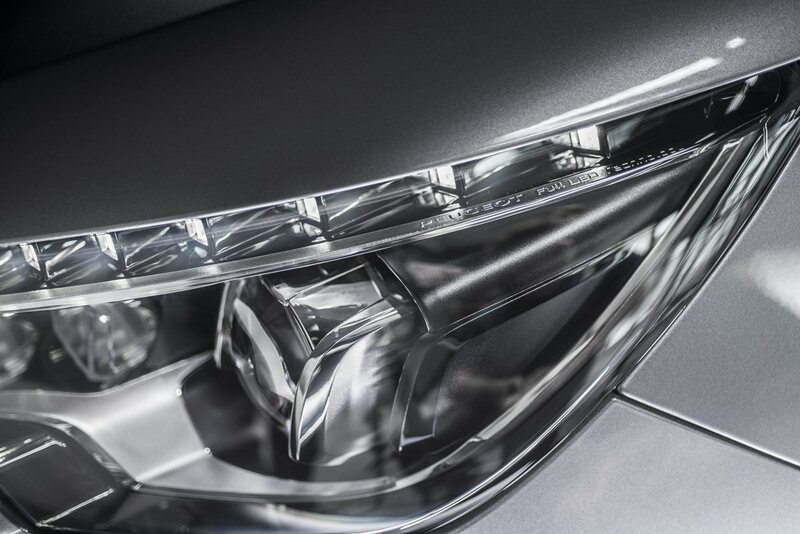 Automotive Lighting, the lighting division of Magneti Marelli, supplies technology for the world preview of the Mercedes Benz GLA (halogen and Xenon headlamps and LED rearlamps) and for the new Range Rover Sport Hybrid, which mount halogen and bi-Xenon headlamps with AFX (Advanced Frontlight Extended) technology and LED rear lights. Also the BMW X5 features Automotive Lighting components, with halogen, bi-Xenon and full-LED headlamps. Magneti Marelli’s instrument clusters can also be found on the long awaited-for Porsche 911 Turbo and Porsche 911 Turbo S which, in addition to speed-related data, displays all vehicle information and the navigation system.